Sometimes you need to copy paste a node from one script to another but then you noticed it doesn’t copy the values together since it is link to an expression. An expression is well an expression. 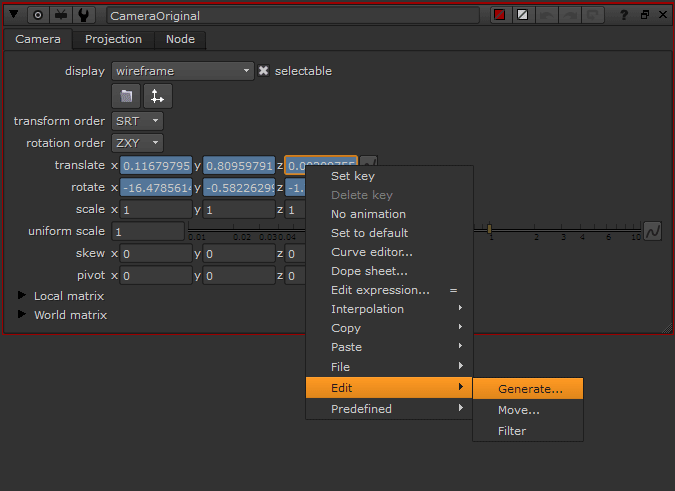 The above screenshot show the translate parameters for the CameraOriginal node which is driven by CameraTracker1.camTranslate. Ok you can’t bake the expressions at a bakery shop but you can do so using Nuke built-in bakery machine! So how do one bake expression in Nuke? 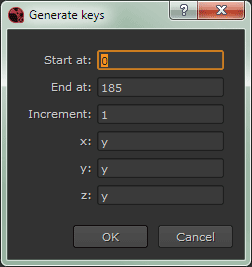 Right click on the parameters that is driven by an expression and go to Edit -> Generate. From there you want to leave the default increment to 1 as you want to bake the values at every frame unless you have specific need to bake at specific increment. Click OK and a fresh values has been baked! What happened to the original expression? Once the ingredients aka expression has been baked through the Generate command, the original expression is gone. So do take note to make a copy of it as safety in case you need to refer back to your original expression. Preferably before you start to bake any expressions, do make a copy of it for backup purposes. 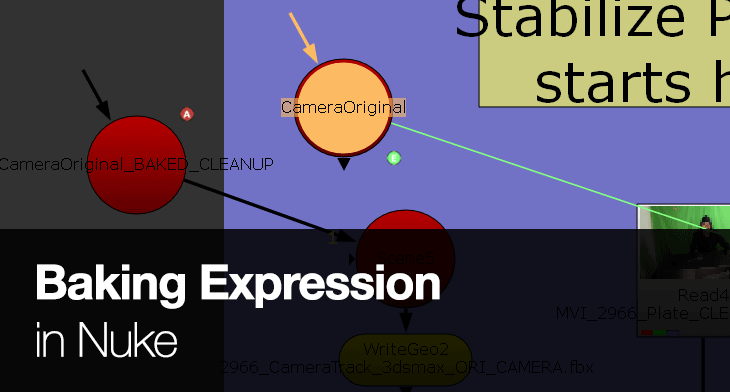 Also any baked expressions will increase your script size so be warned if you planned to use a lot of baked nodes especially from CameraTracker.